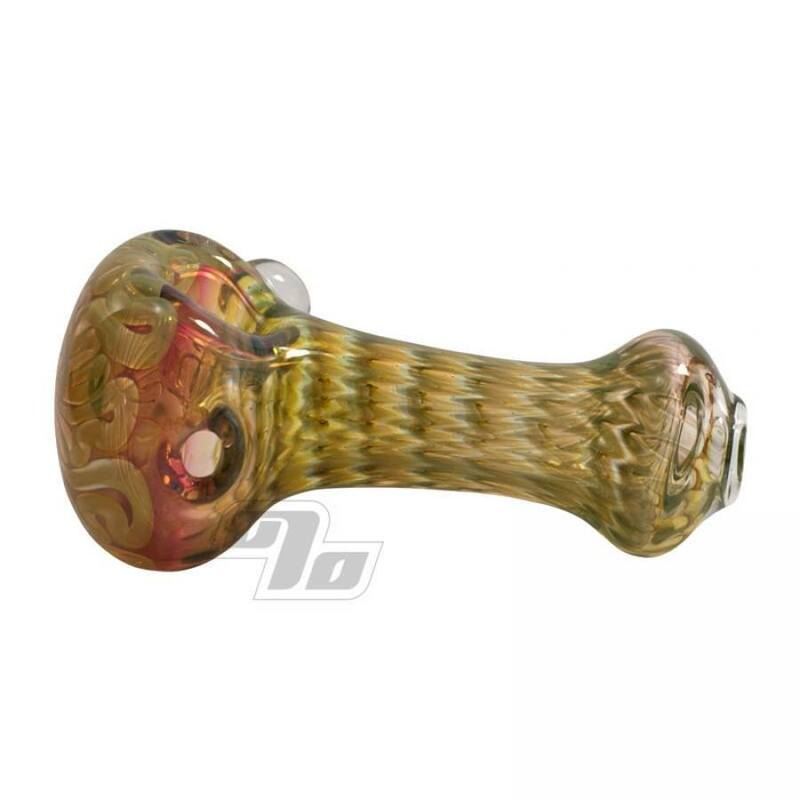 Beautiful fuming and unique design makes this an instant favorite glass piece from by BobGlass in Connecticut. Blue accents which will develop more with use (color changing). This spoon pipe measures approx at 4" long x 2.2” tall.